What happens when your generator does not start? Searching for a South Orange Generator Maintenance Service to help with all your generator needs or looking for a Mountainside Home Generator maintenance? A power outage is the worst time to find out that your generator does not work. People do not need their backup plan to fail when in that situation. There are preventative actions you can take to make sure your generator is always ready for the next time you need it. Does your generator have enough fuel to work? Most generators will not function correctly if it is low on fuel. Most have automatic shut down systems when it knows it is low on fuel. Make sure to check the amount of fuel in your generator and make sure it is good quality fuel. Usually the battery system is the main reason a generator will not go on and work properly. If your generator does not get the energy it needs, it will probably not run. Check the battery connection. There could be a buildup on the battery that is sulfate, which can affect the generator. Make sure that all connections are cleaned and tightened so the generator will be ready to start when you need it. You may also need to replace your batteries occasionally as they decline with every use. Your cooling system should be cleaned every two or three years with a complete flush and replacement. This will ensure the generator will be in working order. Your generator needs hoses and belts in good shape to work properly. Inspect the hoses and belts often to make sure there are no holes or leaks. Your generator will not work if the radiator inside is full of dust or oil. This problem can cause the generator’s engine to overheat and die. Inspecting the radiator often for any deterioration or dirt can prevent any future problems with the radiator. Any build up around the exhaust valves on your generator can cause your engine to overheat. Always make sure the valves are opening and closing properly and sealing the way they should. Any debris from the valve can go into the generator and cause damage to some parts inside that will prevent the generator to work. Make sure when you are starting your generator make sure all the buttons are working properly and not getting stuck from dirt. Lubricating oil is what keeps your generator working smoothly and keep certain parts from wearing out too soon. A build up of carbon, moisture and other pollutes can and will cause a generator to fail. An annual oil and fuel filters change will help your generator to work at its highest potential. If there is not enough lubricating oil, the generator will not start. When you finish checking all the proper procedures to make sure your generator is working and ready to work when you need your your generator, it will not fail. If after all that and you still are finding that your generator does not work, you may need a South Orange Generator Maintenance Service professional. A service technician can provide maintenance and replacement parts to ensure your generator is ready to keep you out of the dark. Give Bold Generators a call today at 908-421-9157 for an appointment or visit our website. 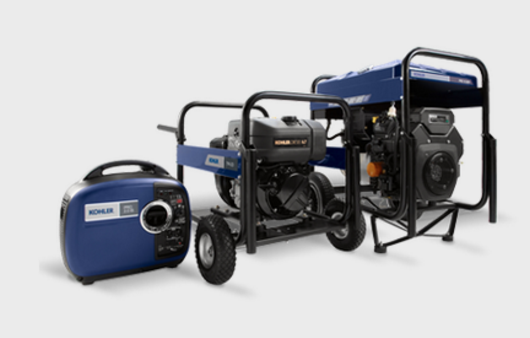 When you become a Bold Generator maintenance customer you can rest assured that you will always get high quality equipment and work with professional technicians with years of experience and the best customer service care. Call us today and never be left out in the dark again!